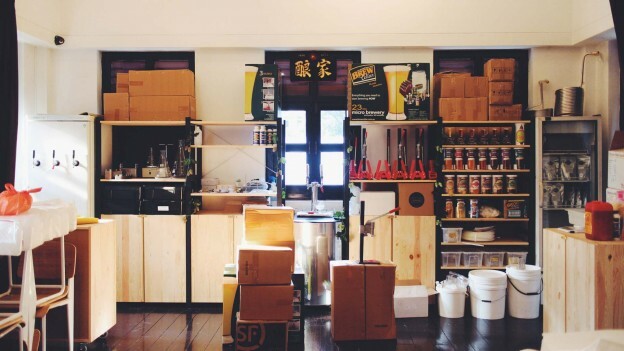 It’s certainly an exciting time to be a homebrewer in Singapore – we’re just about coming down from the high of this year’s iBrew challenge and now us moonshine makers have a new homebrew store to shop at. Our good friends at Thirsty are now making every Friday night from 7pm homebrew night. This means you can take your homebrews down to Thirsty at Liang Court every Friday and share them with Roland, Jasper and Evonne down there to get feedback on them. You can also share them with other craft beer connoisseurs that might be enjoying a bottle from the extensive range of craft beers they stock. Hello, Singapore Mini Maker Faire! Hi! How’s the long weekend working for you guys? Jamie (check out his newish homebrew blog! ), Nick and I are spending Saturday and Sunday at the Singapore Mini Maker Faire, spreading the word of homebrewing to a geeky and cute kid audience also here to learn about 3D printing, leather bag making, robotics and kitty cat ears that flap about, its Japanese maker says, by sensing his brain waves from prods placed against his forehead. Err, okay! As promised in our last post, we got in touch with Raymond at iBrew and he’s replied really swiftly with news about the judges and evaluation process for iBrew this year.